On Christmas Eve street artist Agata Olek created a custom crocheted outfit for Arturo Di Modica’s “Charging Bull” sculpture on Wall Street. It lasted two hours before being removed by the authorities. 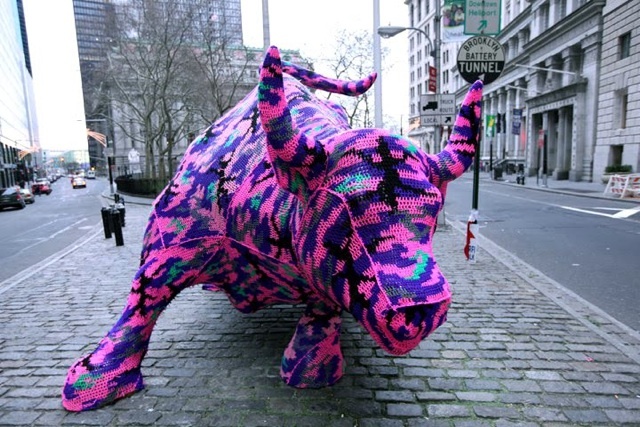 UPDATE: Agata Olek has posted a video showing how she dressed up the Wall Street bull.